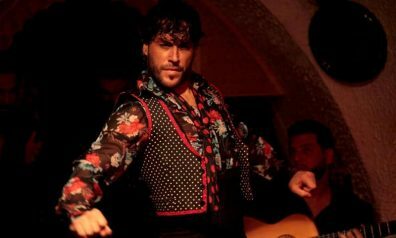 The Spanish gypsy folk dance of flamenco traces its origins to Andalusia, in southern Spain, but has thrived in Barcelona, thanks in a large part to the work of Tablao Cordobes. In 1970 the show biz entrepreneur Matías Colsada opened this tablao on Las Ramblas, naming it after famous bullfighter of the era, El Cordobés, and appointing the guitarist Luis Adame and his wife Irene Alba, a dancer, to manage the venue. 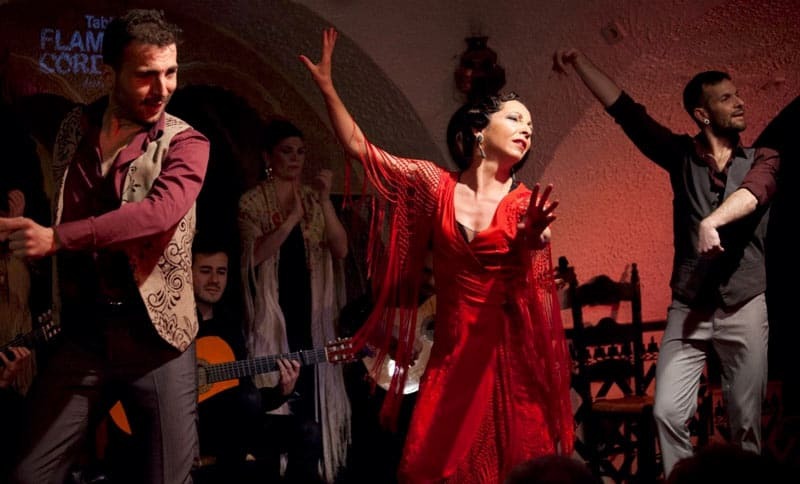 Adame and Alba brought the stars of southern Spain to their Barcelona stage, including Camarón de la Isla, Farruco, Chocolate, Güito, Manolete, La Tati, Juan Villar, Lole, Manuelo Bambino and Manuela Carrasco. In those days it was the many migrants from Andalusia, Extremadura and the rest of southern Spain who kept the tablao busy, with the occasional special guest, such as the time when Salvador Dali rocked up in his limousine. These days it is mostly tourists, keen to sample an authentic flamenco show in Barcelona who frequent the nightly concerts, but you never know who you might bump into. Keanu Reeves is amongst the stars to have dropped by. 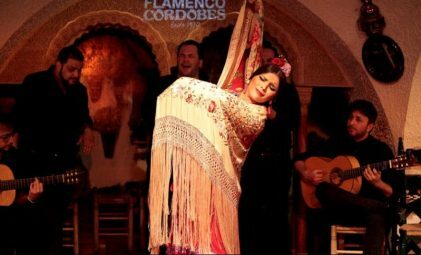 Still family-run, it is now Maria Rosa, daughter of the Adame family, and herself a former flamenco dancer, who presides over Tablao Cordobes. 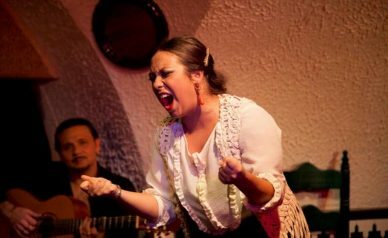 Still family-run, it is now Maria Rosa, daughter of the Adame family, and herself a former flamenco dancer, who presides over Tablao Cordobes. Whilst times have changed the venue still prides itself on bringing the pick of the profession under its roof. 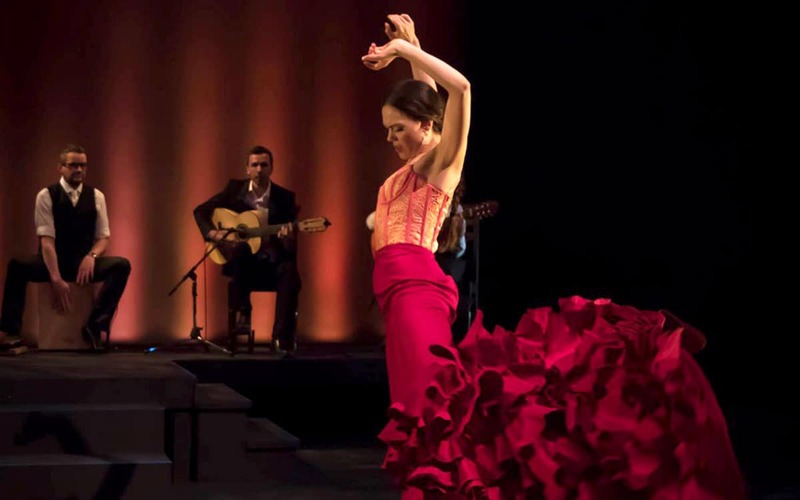 That is why today you’ll find artists such as Miguel Poveda, Montse Cortés, Chicuelo, Jose Luis Montón, Maite Martín, Jesús Carmona and Belén López on stage, and if you’re lucky maybe even Karime Amaya, granddaughter of the legendary Carmen Amaya, who was born in Barcelona’s somorrostro slum. If walking into the tablao reminds you of walking into the world-famous Alhambra in Granada then you can be forgiven…. because the venue was inspired by the Nasrid forms and architecture of late 15th century Andalusia and was handcrafted by the official restorers of the aforementioned palace. The dining halls are opulently decorated with ceramics, green and gold in true Arabic style, with the concert hall is designed to evoke the cafe cantantes of old, with a low ceiling, arches and intricately-patterned tiles. Concert-goers are packed together in tight fashion, right next to the stage, bringing a great intimacy to the performance. 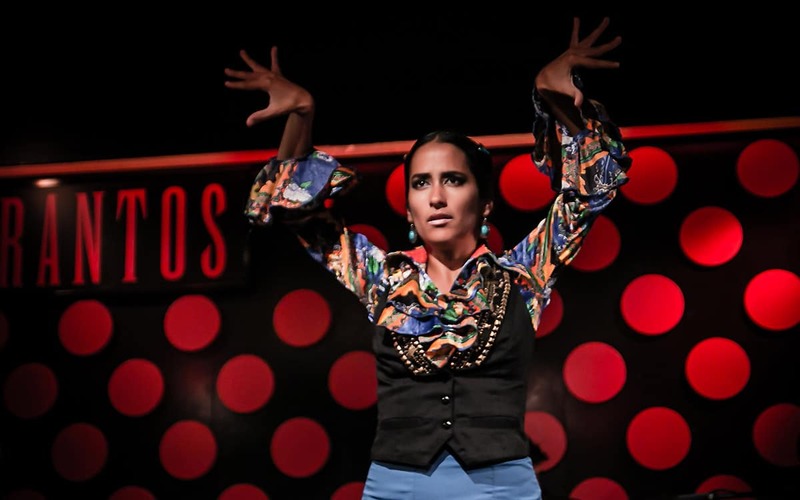 Furthermore, the artists don’t perform with any microphones or sound equipment, relying on their strength of their voices and percussion and the acoustic of the room, to evoke the passionate atmosphere of flamenco. 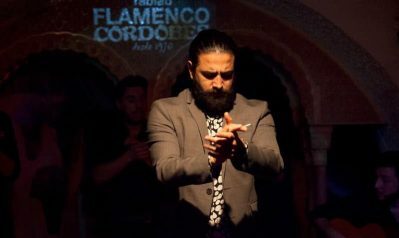 From April to September, Tablao Flamenco Cordobes puts on three concerts a night, Monday to Thursday, each just over an hour long. Before each show there is the option to have dinner, meaning there are two different start times. Those who want to buy a ticket just for the show (which includes a drink), and those who wish to eat at the tablao as well, who should arrive earlier. On Fridays, Saturdays and Sundays they put on four shows a night. The same three as those above, plus an additional earlier show, before which you can opt for a tapas tasting dinner. The timetable may very according to season and date, but the above should give you an idea of how their schedule works. When you go to buy tickets online you will be given either the above options, or something very similar! If you choose a ticket that includes dinner you will be treated to a delicious, all you can eat, buffet of Spanish cuisine, made up of 44 dishes prepared by the team of head chef Jordi Narro. You will be able to try dishes from all around Spain, such as Basque pintxos, Andalusian gazpacho, Galician octopus, calamari from Cadiz and Catalan butifarra. However their kitchen specialises in rice dishes, so those who hoped to try and delicious seafood paella when in Barcelona won’t go home disappointed. There are plenty of vegetarian options, as well as some classic sweets and desserts like chocolate and churros (popular in Madrid). They only use fresh ingredients to prepare the dishes and Jordi Narro has worked in many of Spain’s best kitchens, alongside such luminaries as e Ferrán Adrià, Jean-Louis Neichel, Joan Roca and Joan Piqué – so you’re in safe hands! 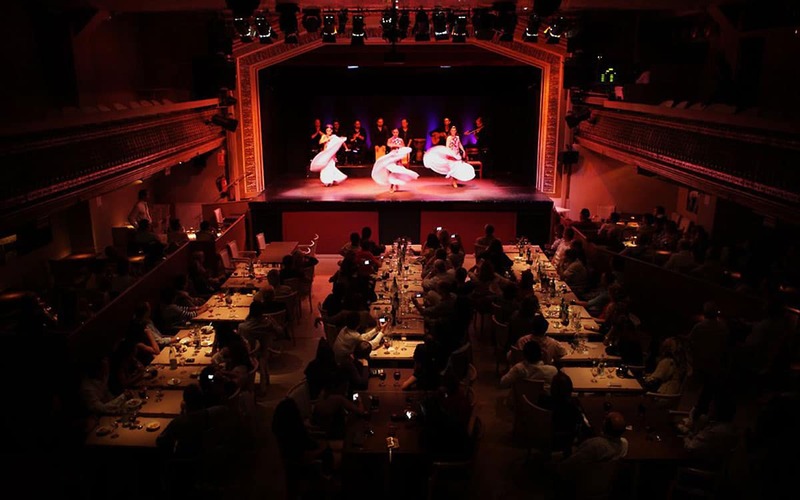 Dinner starts around 1.5 hours before the show and takes place in the tablao’s stunning dining rooms, decorated in the Arabic Nasrid style, and the evocative decor sets the tone of the entertainment later in the evening. The tapas menu, available on weekends only, is an abbreviated version of the above, and more affordable. 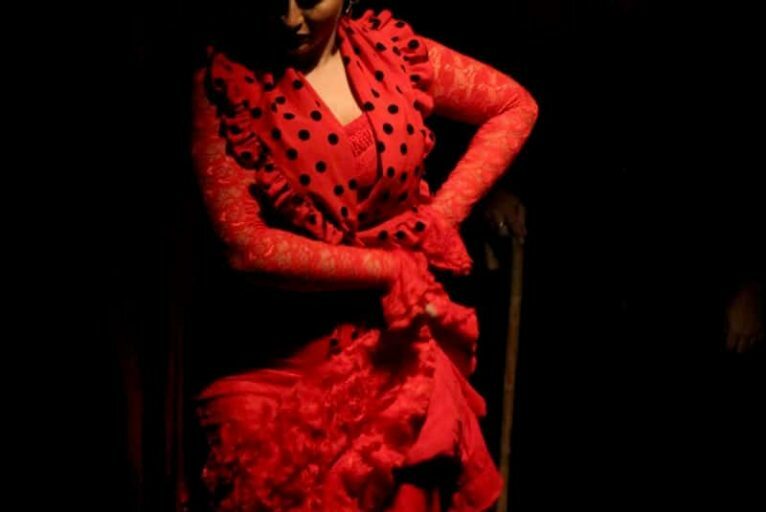 You can book tickets for Tablao Flamenco Cordobes, easily and securely via the Barcelona Turisme official website. Tickets do often sell out for shows, especially in high season, however if you can’t get yours no need to fret. 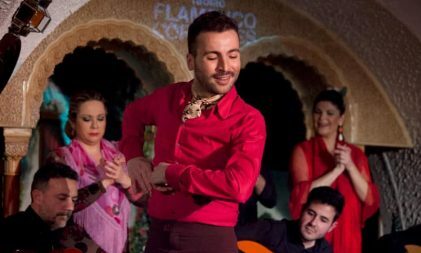 Check our article on the best places to watch flamenco in the city, as there are several other places in town – such as El Palacio del Flamenco. There is no specific dress code to abide by, but it’s considered ‘educated’ to dress somewhat elegantly at least. As there is air-conditioning in the concert room it is best to bring a thin additional layer, in case you get cold. A really authentic show, full of passion and pain! Don't expect too much happy clappy stuff here, the real flamenco is dark and sorrowful stuff for the most part. I loved the Arabic touches to the decor and if you're looking to feel that elusive 'duende' you're in the right place.